It’s important to always work safe, especially when you are working with an object that weighs several tons like a car or truck. 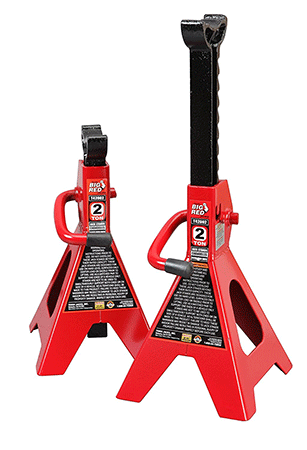 With this in mind, many people use jacks to hoist their car to an appropriate height, and then use a jack stand in order to keep it safely at the jacked level. It’s important to do this because any car that isn’t securely jacked can fall down and injure or kill the person who is doing repairs or maintenance. 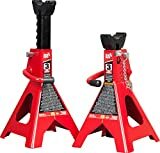 There are a lot of jack stands available on the market today, but which is best? 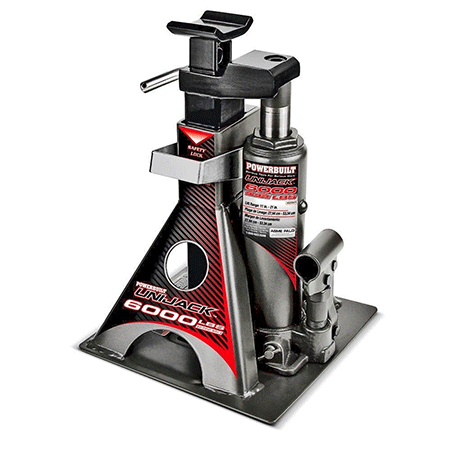 Let’s take a look at some of the best jack stands from top best sellers. A standard jack stand doesn’t work that well for smaller vehicles like motorcycles. With this in mind, a motorcycle jack stand like this product is needed. It can even lift these types of vehicles up to about 17 inches high. It has a good motorcycle capacity of 1,500 pounds. The stand also has straps for safety. This is a very heavy duty device. It’s a bit heavy; the whole stand weighs 66 pounds. A great jack stand with an A-shaped base, the Advanced Tool Design Model ATD-7433 can hoist three-ton vehicles 17 inches into the air. This is perfect for eliciting repairs and maintenance. Additionally, it has a lever that can let you lower your vehicle by increments as well. 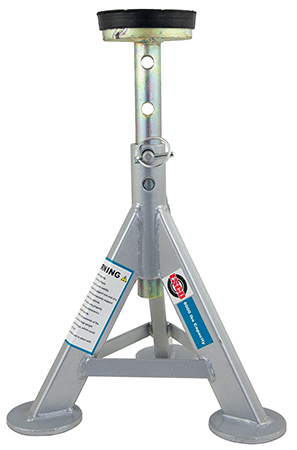 This is a very stable jack stand because of its wide-set feet. Cranking it downwards is a great convenience feature. It only weighs 16 pounds. The edges of the feet are sharp, which can leave marks on the pavement. 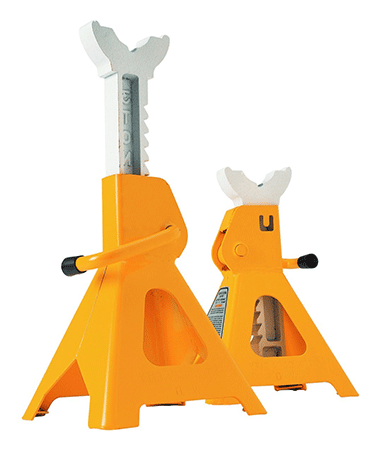 With square-shaped feet, this Sunex jack stand has a great level of overall stability. Amazingly, it can handle about 22 tons of weight as well. The whole product is made of steel, which really illustrates how strong the stand is. To lock the stand in, you use a steel peg. It has a large saddle that is very supportive of larger vehicles. It’s designed for trucks and larger vehicles. For some reason, these have been known to ship without the locking pins. Another set of stands with a square base, the OTC 1780 stands can be locked into three preset positions for your convenience. 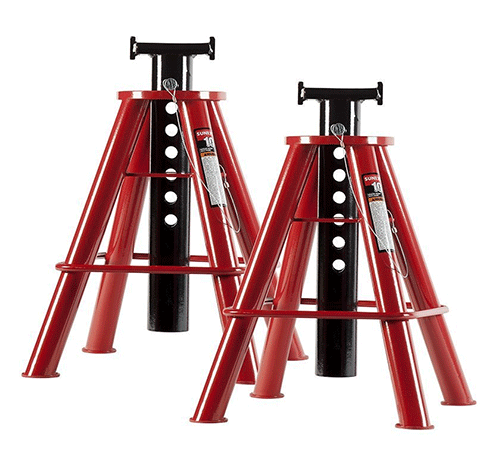 These are relatively large jack stands that have a base height of 12 inches. That being said, with a steel construction, these OTC jack stands have a very sturdy build quality. In fact, these are the perfect jack stands to use for larger trucks and even some RVs. These can manage a maximum weight of 22 tons. They have three different height settings. The stands also have a sturdy steel construction. They are a bit heavy at 80 pounds. The next stands are very impressive due to their multiple-pin design. With these Sunex products, you’ll have six height settings to select from. Additionally, the height adjustment pin is actually attached to the stand so that you don’t lose it. This set of stands has a ten-ton capacity. Height adjustment is a great feature of these. The saddle is large enough to accommodate larger vehicles. They can rock a bit when a vehicle isn’t resting on them. Ratcheting is a great way to manage the height of the jacked vehicle, so jack stands with ratchet functions tend to be very useful. In addition to this stand’s ability to be ratcheted with a lever, each position locks firmly into place for added safety. This stand has an A-shaped leg structure for stability. A six-ton capacity can handle a wide variety of vehicles. These are made of sturdy steel. They are somewhat tall, which can make it hard to get them under some vehicles. 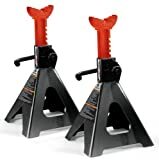 These jack stands works like standard jack stands, but they also have some of the attributes of a set of hydraulic jacks as well. This means that not only does this stand have a variable height, but it can lift your vehicle as well. A three-ton capacity is great for most cars. There is a safety bar to safely lock in a height. It has a wide and stable setup. It takes a while to actually raise up. Expect at least 60 pumps. A wide saddle is an excellent feature for a jack stand. It allows for great stability and grip and will ensure that your vehicle’s undercarriage isn’t damaged. 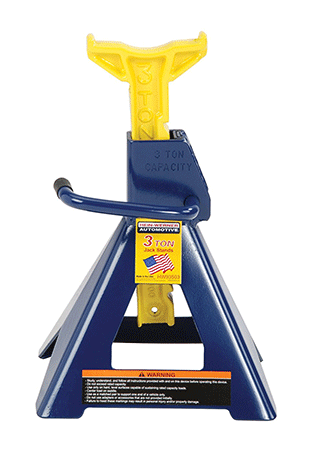 This jack stand has this and a great, sturdy design, which will help you lift up to three tons. It has a ratcheting handle for lowering your vehicle. This stand has a high degree of stability thanks to the A-shaped feet. The bottoms of the feet can actually damage the asphalt you are working on. 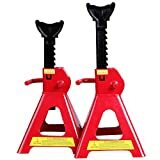 These jack stands are great for most applications because of their stability and three-ton functionality. Additionally, they are ANSI compliant and feature a ratchet bar for minute height adjustments. These have a red powder coating to protect the steel from rust. The three-ton capacity is great for most uses. These are stoutly designed so that they provide great stability. They are a little high, so make sure that they fit under your vehicle before making a purchase. The saddle on this jack stand is relatively unique. You’ll notice that it is rounded and flat rather than concave, which actually helps prevent damage to your vehicle as you hold it in position. These can manage three tons of capacity. They are very stable and are designed with wide-set, round-bottomed feet that won’t damage the pavement. They have a pinhole design so that you can select your preferred height. The pin isn’t attached, which means that it can be lost. 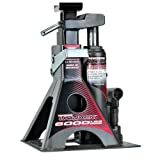 While these don’t have a massive overall capacity, these Performance Tool jack stands can do a great job at holding smaller, two-ton cars in the air without much trouble. They have multiple heights, which is a feature that many users prefer. These employ a ratcheting handle for managing the vehicle’s height. They are also designed to be heavy duty; you won’t be able to accidentally damage them. The height range for these is ten inches or so off of the ground to about 16. If you need a more robust weight capacity, these aren’t for you. Torin is a major name in jack stands and hydraulic jacks, so it’s easy to tell that these are great for keeping your car very stable. First, they are made of aluminum, which is not only a very sturdy metal but also one of the most lightweight. These have a hexagonal base that is also very stable. These can manage three tons of vehicle weight. It’s good that these have adjustment pins that are attached to the jack stand. There are five holes in these for height adjustment. They aren’t as wide-set as other jack stands, which can be a problem for those seeking added stability. Aluminum is a great material for a jack stand due to its durability and weight. 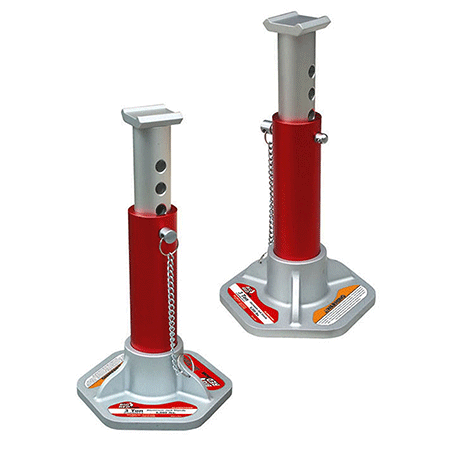 These jack stands are made of aluminum and are also designed to be very stable due to their unique base structure. Additionally, they aren’t very expensive, which is great because they come in a set of two. You can adjust the height by simply spinning the saddle assembly. Despite a lightweight aluminum frame, they can support three tons. These are very stable due to a square base. They are a bit high, which means that they can be hard to position. 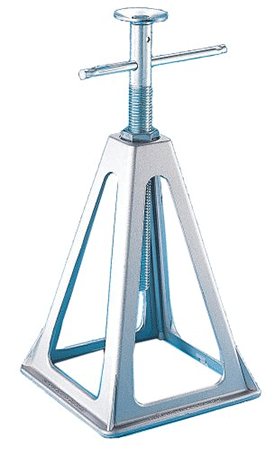 Steel jack stands are arguable the most heavy duty because of the fact that the metal won’t bend or strain. 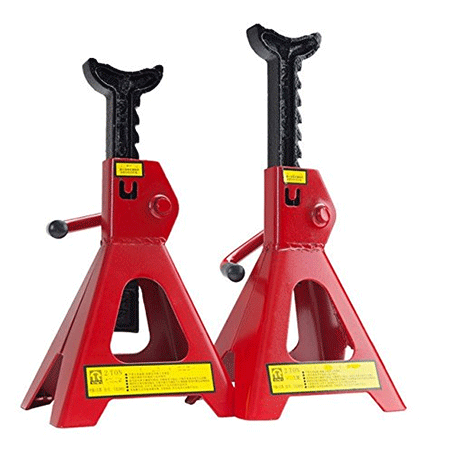 These Torin jack stands have the ability to manage most vehicles due to a three-ton capacity and also have the ability to be adjusted through a ratcheting mechanism. 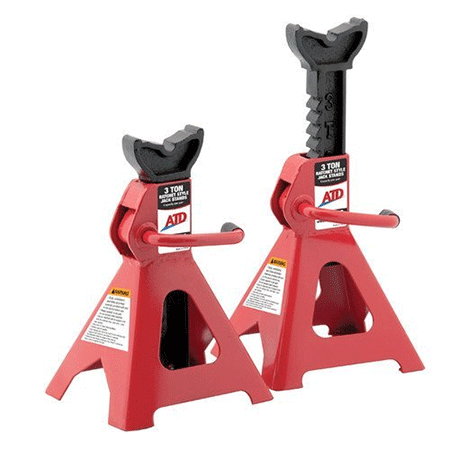 In fact, these have several height selections, which make these jack stands very versatile. These have a solid A-shaping so that they are stable and strong. They are also made of steel, which provides some added stability. Using an attached safety pin, you can lock these firmly into place. The welding points could be a lot better. While this might not be an issue with your jack stands, it’s something to consider. The safety pins don’t always fit the holes, which means that you’ll have to send yours back. Our final jack stand is another unit from Torin. With a two-ton capacity, these will mostly be relegated to cars rather than small trucks. That being said, these are very well-designed jack stands. They have a welded steel construction that is very strong and will stand up for years. 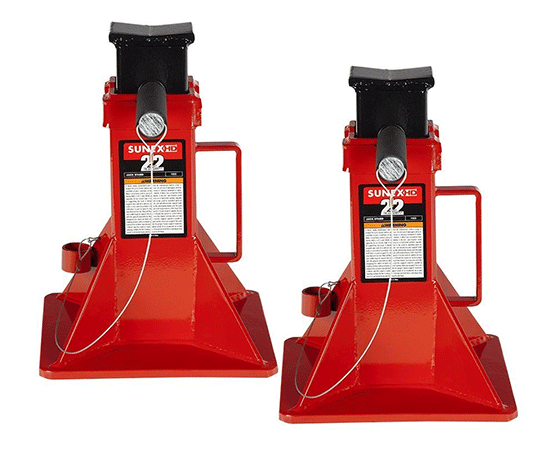 Additionally, these have a very variable height; you can ratchet them from a little more than ten inches off of the ground to more than 16 inches up. The two-ton capacity can be augmented with more jacks. These have a good-sized ratcheting range, and they are also small enough to get under most vehicles. The saddle is wide enough to accommodate most vehicles within the capacity range. These meet ASME and PALD safety standards. While these do indeed lock, there is no safety pin, which can be a deal-breaker for some people. Two tons is also not that high and some vehicles simply exceed this weight. Jack stands are designed to hold up a lot of weight in a secure fashion so that there is a heightened level of stability. When searching for a good one, it’s a good idea to look for a stand that has a high capacity. This way, if you buy a heavier vehicle like a truck, then you can use tour stand for that vehicle as well. Also, a solid construction and the ability to lower the stand gradually is also a valuable feature to look for. Having a stable vehicle while you work should be job number one. 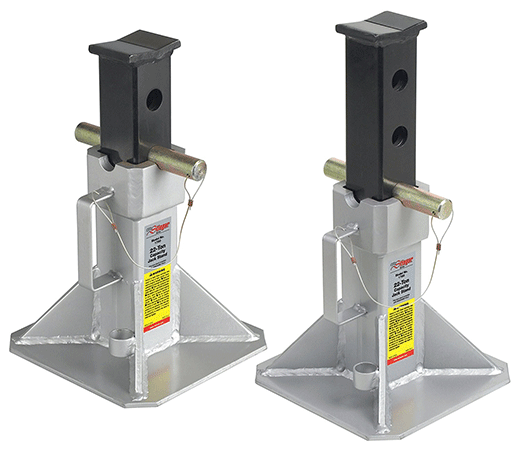 Jack stands are perhaps the most important product when it comes to making sure that your work is done safely. The products that we’ve featured here are all designed with this in mind, so browse through our list to find the one for you. 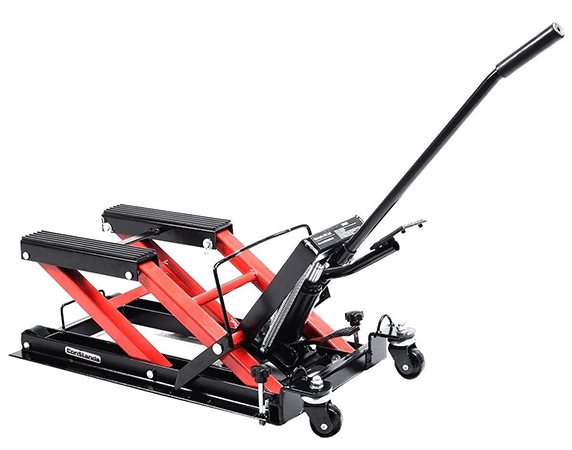 Remember, some jack stands can lift up to 12 tons at maximum, so there are several great options for you on the market.